ScoreHero :: View topic - 12/6 DLC: Two Of Heart! 12/6 DLC: Two Of Heart! Posted: Thu Dec 06, 2018 7:08 pm Post subject: 12/6 DLC: Two Of Heart! Crazy On You was Americas first exposure to Heart, after a pair of singles from Dreamboat Annie were released in Canada prior to the American release. The song reached the top 40 of the Billboard Hot 100, but as everyone knows, it has grown far beyond that and is now one of the most memorable songs of the 70s. Crazy On You is a staple for the band and classic rock radio. The song kicks off with a quick acoustic line and heads into great parts for everyone. The guitar part is one of the most iconic progressions in rock, while drummers will be caught by the hi-hat work in the choruses. Its also some of the strongest vocals Ann Wilson has ever performed, so expect a huge range to cover with little time to prepare. Next up is Magic Man, which was released as the groups second single in the United States. 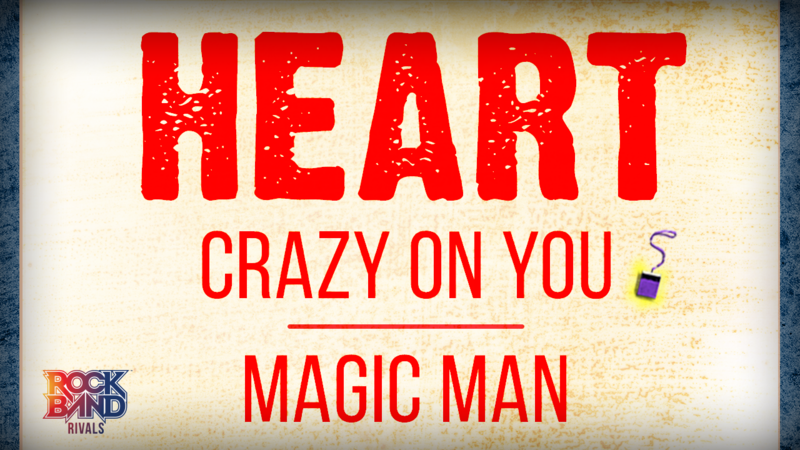 A continued climb in popularity helped make Magic Man a top 10 hit on both the Hot 100 and the Cash Box Top 100, cementing the bands success from their very first album. Again, Magic Man makes for another enduring 70s release, and there are frequent debates on which of these two songs is more loved. Considered by some to be among the best vocal performances in all of music, its amazing for vocalists looking for a challenge OR those looking to belt it out at parties! Youll also find great guitar work (no surprise there), with a quick guitar solo and before you know it, another longer 90 second solo. Entitles purchaser to all of the songs over the course of season 9 all songs needed for seasson 9 spotlights. This song is free with the Spotlight Pass.